This app was developed in collaboration with Intellilab, with Standard Bank being Intellilab's client, as an in-house app for Standard Bank. 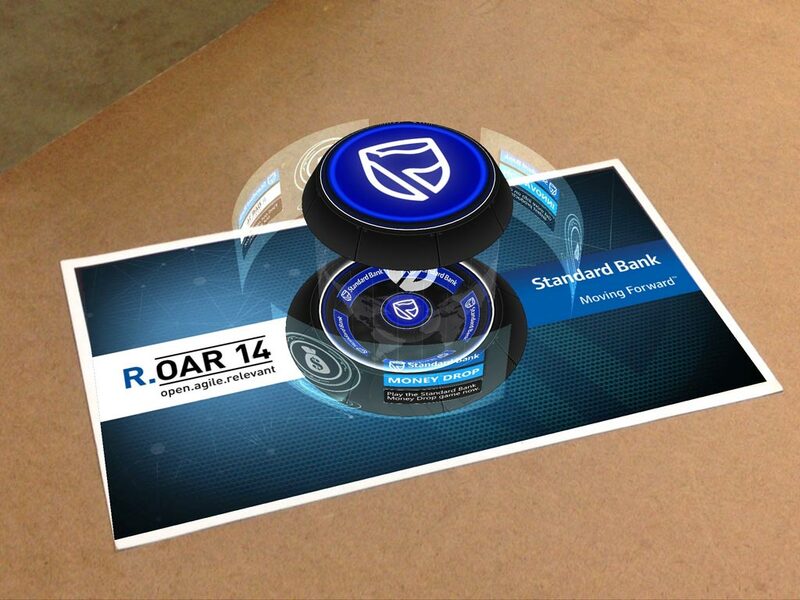 The app triggers an AR experience, through which the end-user can view a fullscreen innovation clip, watch Standard Bank's commercials in Augmented Reality, and play the Standard Bank Money Drop game. 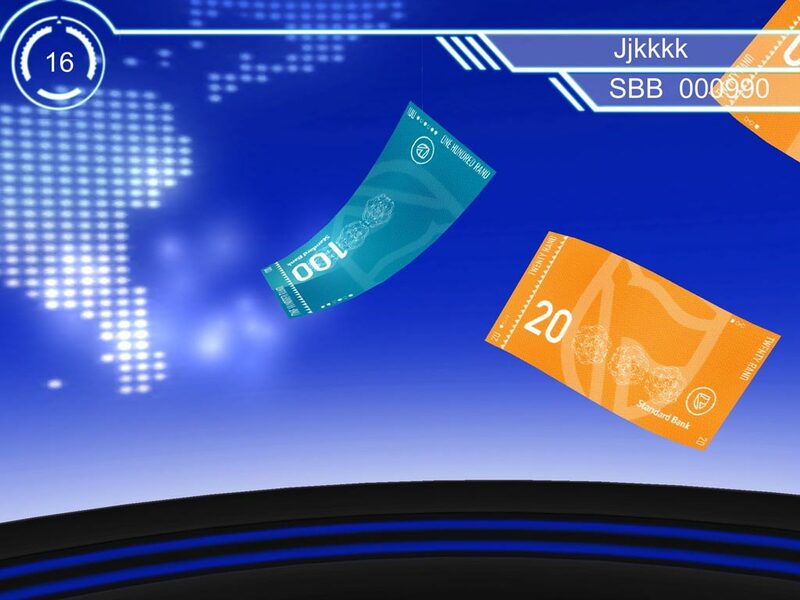 In Money Drop, the user enters their name to play a short 40 second game, where the goal is to try and collect as much money as possible as it falls from the ceiling all around you. The scores from the game were then sent to an online server, which in turn returned the top 10 scores to a large HD screen behind the podium. This led to colleagues returning throughout the event to out rank each other on the leaderboard. The winner at the end of the day received a prize.